Word searches are an excellent way for your students to review important vocabulary. Making one yourself can be painful and very time consuming. 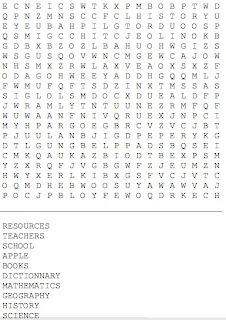 "Make Your Own Word Search" makes the development of new word searches very easy. 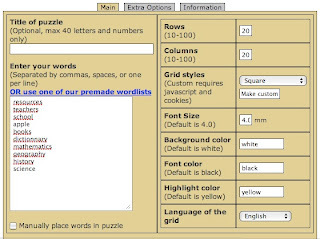 In order to produce your own word search, all you need to do is to enter the list of words you want to include and then click the "Create Puzzle" button. After you entered all the words, the system will then generate a grid with all the words that are included in the list. You can change many parameters before starting your grid including: Rows, Columns, Font Size, language on the grid and Background colour. Have fun using it! October 24, 2011 at 4:28 a.m.